Being a teenager can be a very hard time in your life. Some teens are able to get through the harsh times, and others are not. For the ones that are not able, what do they do when they have no one to turn to? Drugs and alcohol can easily become the answer. In the book Crank, by Ellen Hopkins, this is exactly what happens to Kristina. Kristina is the perfect daughter. She receives good grades, stays out of trouble, and overall does what she is supposed to do- until the summer when she visits her dad in Albuquerque, New Mexico. While visiting her dad, Kristina’s wild side, Bree, starts to take over and do the talking. Unfortunately, Kristina gets introduced to crank, also known as crystal meth. Kristina knows what she’s doing is wrong, but Bree is telling her otherwise. While reading, Kristina’s decisions can be very frustrating. Even if it is Bree who’s really doing the talking at the time, you wish that Kristina would be smart enough to know better. Crank becomes a horrible monster that starts to take over. As a crank addict, Kristina’s life changes drastically. Her step dad and mom no longer trust her because she is beyond irresponsible. She also puts herself in situations in which she gets taken advantage. Kristina heart is broken multiple times. She even has an odd, unbreakable bond with her dad through the monster. Crank is a very dark, depressing book told through poetry. It is written in a very interesting, free style format. The poems go together in sequential order. The book is long, but goes by very quickly. Not all of the pages have a lot of writing, and none of the pages are completely filled. Crank is the type of book that once you start reading, it can be challenging to put down. At the end of the tunnel you always hope there’s light, but in this book there might not even be an end to the tunnel. When you think things possibly could not get any worse, they somehow do. Crank is a very different book that is not like most other books involving drugs. 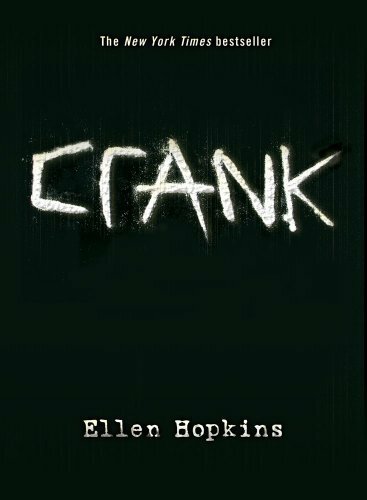 If you decide to read Crank, you will be able to see the downs of family, trust, love, and the monster.